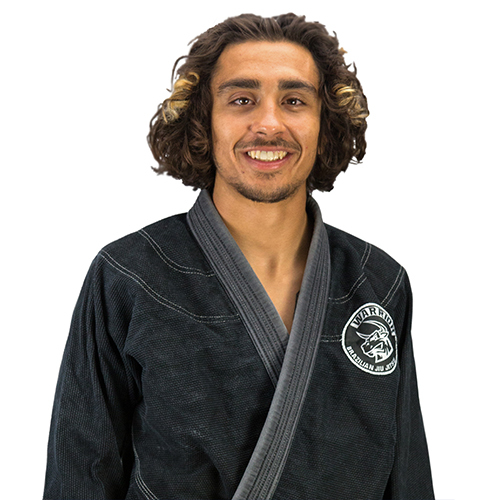 Joe started Jiu Jitsu when he was only 7 years old. In his early days of training, a lot of the newcomers to the gym would underestimate Joe’s abilities because of his age. But they quickly found out that was a mistake because even though Joe may not look the part, he knew all the right techniques to submit his opponents. At the Gracie Open, when Joe was just 13 years old, his Dad decided to sign him up for the adult blue belt division. In Jiu Jitsu, kids are not allowed to receive their blue belt until they turn 15, so Joe was fighting opponents that were older and out ranked him. Joe would go on to take first place and also put a grown man to sleep because he didn’t want to tap. Joe is a World Champion and placed second in the No Gi World Championship. Joe, along with his older brother Alex, are currently ranked as brown belts. And you guessed it his Dad is our head instructor!